Prebiotics vs probiotics - what is the difference and do you actually need both? You may know that probiotics are important for intestinal health but did you know that prebiotics are just as important if not more important? Prebiotics act through different mechanisms but compliment probiotics perfectly by increasing the effectiveness of both. Learn who should use prebiotics, how to use them and how to use them in conjunction with probiotics. Many people are aware of the many benefits associated with daily probiotic use, but do they know about prebiotics? Prebiotics (notice the E!) are actually a special type of food that is consumed by the billions (and trillions) of bacteria in your gut. You can think of prebiotics as food for the bacteria in your gut. Just like you need food to produce energy, survive and thrive - they too need some sort of food source to survive and multiply. When it comes to gut health we are primarily concerned with the absolute and relative concentration of certain strains of bacteria populations in your gastrointestinal health. It has been shown, for instance, that patients with certain populations of bacteria in their gastrointestinal tract can lose weight (1) more easily than people without these bacteria. It makes sense that we would want to increase those populations and decrease the populations of bacteria that may cause harm, right? Most people assume that taking probiotics (now we are talking about the actual bacteria) can INCREASE certain populations of bacteria in the gut. This isn't actually entirely accurate (2). Taking probiotics absolutely has many health benefits, but just taking a certain species of probiotics doesn't necessarily increase that population of bacteria in your gut. Taking targeted prebiotics (now we are talking about bacteria food) can directly cause the growth of certain bacterial species (3). Like some people, certain bacteria species in your gut thrive off of certain foods (or prebiotics). What's even more interesting is that as these bacteria grow in size and strength they can influence your appetite and change the foods that you crave. Bacteria will preferentially secrete enzymes and precursors that will cause you to crave the foods that help make themselves grow and reproduce (4). This helps explains why once you start eating healthy foods you have continual cravings for more healthy foods. Unfortunately, the same is also true for unhealthy foods! Have you ever tried cutting out sugary foods or sweets cold turkey? By eating a lot of these foods you produce high levels of certain bacterial concentrations that don't like it when you stop eating their food. So we know that prebiotics are a very important part of intestinal health but how exactly do they work? 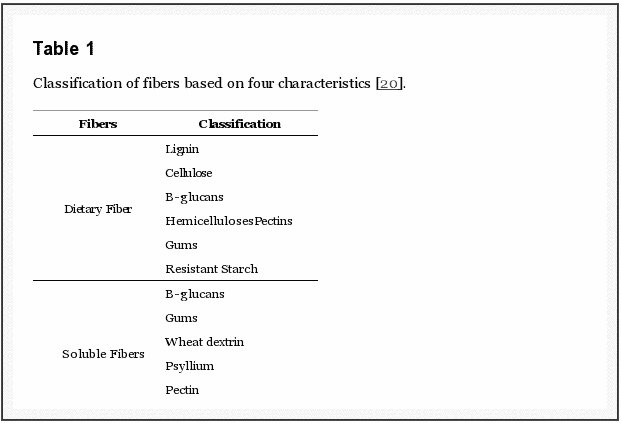 Prebiotics (supplements or foods) provide substrate (5) (or food) directly for the bacterial species in your gut. By taking these supplements, or by eating certain foods, you are providing bacteria with a substrate which will allow them to reproduce and grow. As healthy bacterial species start to grow, their influence on your gastrointestinal tract also grows. They start to secrete beneficial enzymes to help break down foods, they promote changes to your appetite, they influence immune function and more. This all sounds great but have prebiotics been studied or proven to work? In some cases, we actually know more about how prebiotics work than probiotics. Will taking prebiotics provide you with all of these benefits? Probably not, but the point is that with a list as broad as the one above you get the idea that prebiotics have the potential to provide serious health benefits and should be a part of a healthy regimen. If you're like many people you probably know a little about prebiotics but you may not be familiar with specific examples. Let's dive into the nitty gritty here. As I mentioned previously each bacterial species tends to grow better with certain and specific substrate. This list isn't exhaustive but it should give you an idea of how to go about supplementing with prebiotics. When supplementing for prebiotics it's generally best to use a supplement that contains several different types of prebiotics. This will allow you to "feed" multiple species of bacteria. The good news about prebiotic supplementation is that you can get some prebiotics from the food that you eat (assuming it is healthy food). The bad news is that if you can't control what you put in your mouth you may be providing food to the wrong type of bacteria. If you fall into that category, or if you are trying to "reset" your intestinal tract then the addition of prebiotic supplements may be beneficial. Most prebiotics are well tolerated, but some people do experience an increase in gas/bloating and/or nausea when starting prebiotics. If this happens to you it doesn't necessarily mean that you need to stop using prebiotics, but it may mean that you need to slow down or reduce your dosage. It's also worth pointing out that taking prebiotics if you have a condition known as SIBO may actually make your condition worse. You can read more about the symptoms of SIBO in this post. If you are just starting out then you can start with a prebiotic like this one which contains a combination of inulin, beta-glucan, larch arabinogalactan and dietary fiber. Start by taking 4 capsules per day. These can be taken with your probiotics (or without). You may need to play around with the dosage and when you take them to find what works best for your body. Probiotics work through a different mechanism than prebiotics. While they do influence and modify the concentration of bacteria in the gastrointestinal tract they also work through a variety of other mechanisms. Probiotics provide benefit to the host by competing with other bacteria for "real estate" in the GI tract. If you consider that there is a limited amount of "room" in your intestines then providing an increasing concentration of healthy bacteria causes more competition for the lining that is available on your epithelium. Probiotics also help to strengthen the gut epithelial barrier which leads to modulation of the immune system. Damage to the intestinal lining is one of the hallmarks of increased intestinal permeability otherwise known as leaky gut. You can read about leaky gut symptoms here. 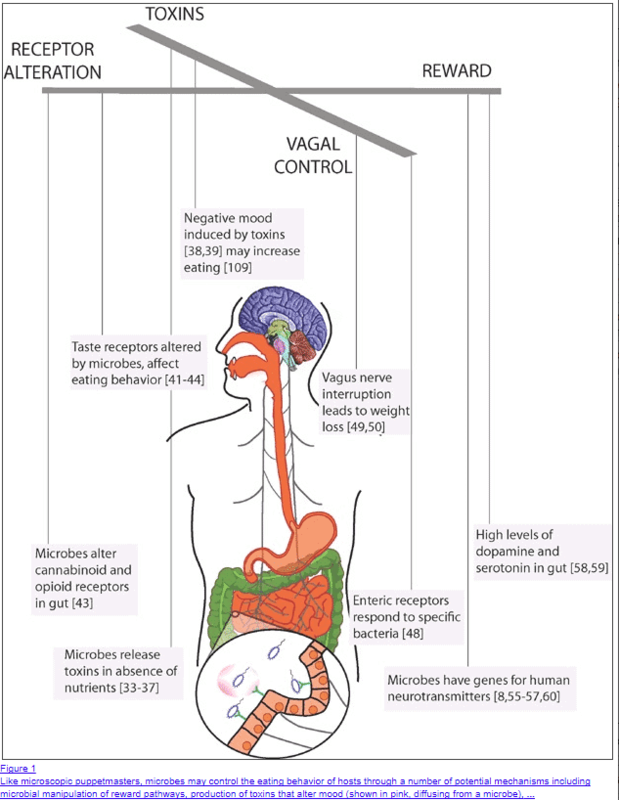 In addition probiotics also directly communicate with the host by activating certain receptors such as pattern recognition receptors and toll-like receptors (15). The activation of these receptors results in the activation of signaling pathways which influences inflammatory cascades and genetic expression. It may sound complicated but basically what is happening is that probiotics influence the receptor sites that already exist which then activates beneficial signals and pathways. The moral of the story is that probiotics provide benefit through mechanisms and pathways which are separate and different than those used by prebiotics. Which makes them the perfect combo to pair up and use together. Much like prebiotics, probiotics also have many clinically proven benefits that you can take advantage of by using them daily. It's important to remember that much like prebiotics there are many different types, strains and species of beneficial probiotics that you can take. Because each probiotic and, therefore, bacteria produce slightly different effects, taking a generic probiotic may not provide you with all of the benefits listed above. If you aren't sure where to start with probiotics then I recommend starting with a basic probiotic which contains a combination of lactobacilli and bifidobacteria species (preferably at least 4+ species) with at least 100 billion CFU per serving. You can learn more about how to choose the best probiotic for your body in this guide. In order for probiotics to be effective, they must be packaged correctly, protected and potentially temperature controlled so make sure you understand how to look for these things before you purchase them. Do Prebiotics have Side Effects? 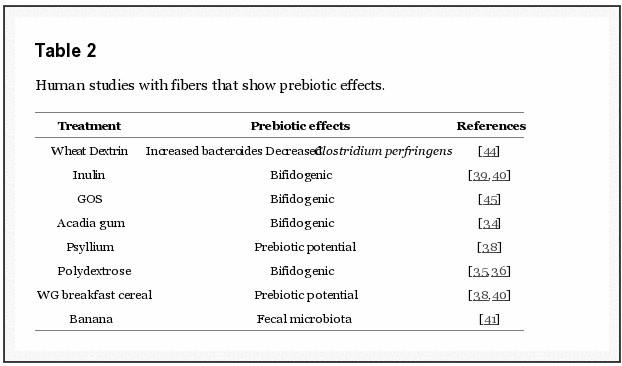 Prebiotics are generally very well tolerated and have few side effects. The only exception is if you start with a high dose of prebiotics or if you have an underlying intestinal condition known as small intestinal bacterial overgrowth. Some patients may experience mild nausea, bloating or gas which tends to subside by simply reducing the dose of prebiotics that you are taking. Can you use Probiotics & Prebiotics Together? Probiotics and prebiotics can be taken together. Some probiotic formulations come with prebiotics inside of them to help increase the efficacy of the probiotics themselves. You can take advantage of this benefit by taking both prebiotics and probiotics at the same time. Taking them together is not necessary, however, and they can be taken by apart as well. Will Taking Prebiotics Help with Weight Loss? Prebiotics can indirectly help with weight loss by helping to normalize your appetite and by influencing bacterial concentrations in your gut. Taking prebiotics without probiotics and without making other changes (such as dietary changes and an exercise routine) is not likely to lead to weight loss. You can learn more about using probiotics for weight loss in this post. Prebiotics serve a special and unique purpose when compared to probiotics. The value in using prebiotics is that they synergize well with probiotics and work through different mechanisms. The best approach to supplementation is to use BOTH a prebiotic in conjunction with a probiotic provided that you can tolerate both. This strategy will lead to superior results and improved gut health. If so, which ones have worked for you? Which ones haven't?